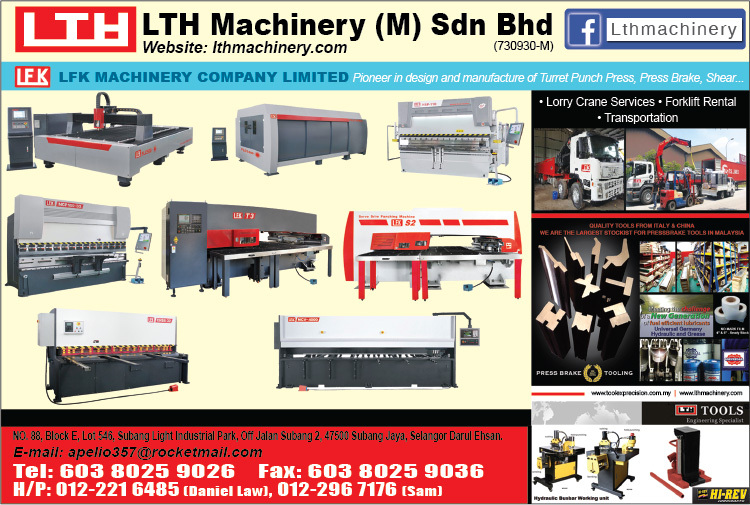 We, LTH Machinery Group are specialized in wide range of Used Machinery/Plant business in steel-related industrial field by dealing in Sheet Metal Working Machinery ( Press Brake, Shearing Machine , Turret Punching machine, Stamping Press , Bending Roll, etc . We team up with our own engineering specialists who can provide necessary technical advices and engineering services to suit our customer needs. Our integrity is demonstrated while building a professional relationship with our customers and we have 20 years experience in this industry . We keep up with all the latest changes in the industry, to provide you with great equipment. 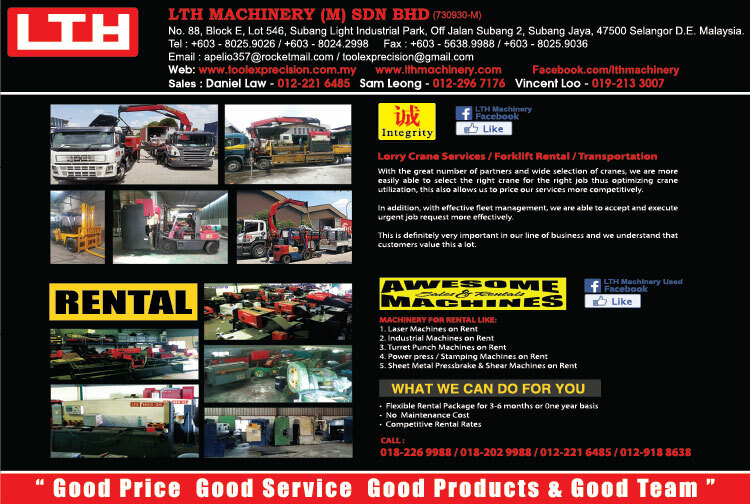 Please feel free to contact us whenever you are looking for any new and used machines, and when enquiring, please specify your detailed requirements for the machines which you are looking for, so that we can introduce some suitable machines to meet your needs. We look forward to serving you in very near future.